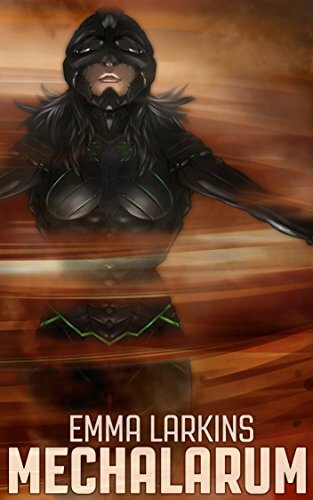 Strong heroine Kiellen risks slow death for the power of biomechanical flight. And keep up with Mechalarum announcements! Welcome to my first science fiction novel, Mechalarum! Interested in learning how "strong heroine Kiellen risks slow death for the power of biomechanical flight?" You've come to the right place! Here you'll find links to news and reviews, fun pictures and videos from the making and promoting of the book, terrific fanmail from my awesome fans, a downloadable version of the first chapter, and of course, a link to buy Mechalarum on Amazon! Or perhaps you're looking to chat with me directly, to learn more about the book, receive a review copy, or simply ask about my views on speculative fiction, writing, gaming, or one of my myriad other interests. If so, check out the contact form on my author page, or hit me up on Twitter! Welcome to my debut novel!